Google recommends you try this “with people, places, and movies.” If an app — or even just a webpage in Google Chrome — mentions a people, place, or movie, you should be able to see immediate information about it through a long-press of the Home button. 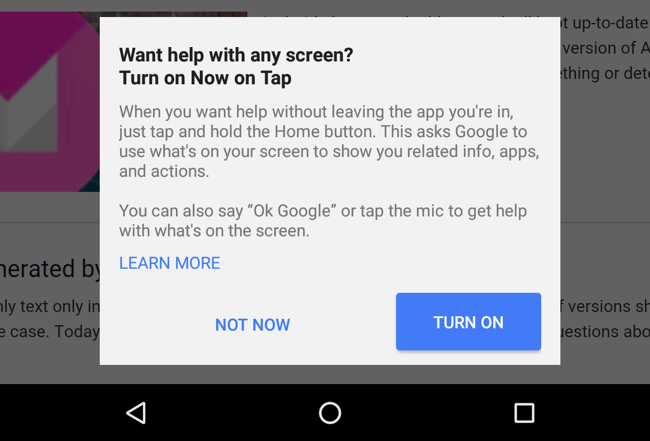 You can also say “Ok Google” or tap and the mic and ask a question based on what’s on the screen after opening Now on Tap. 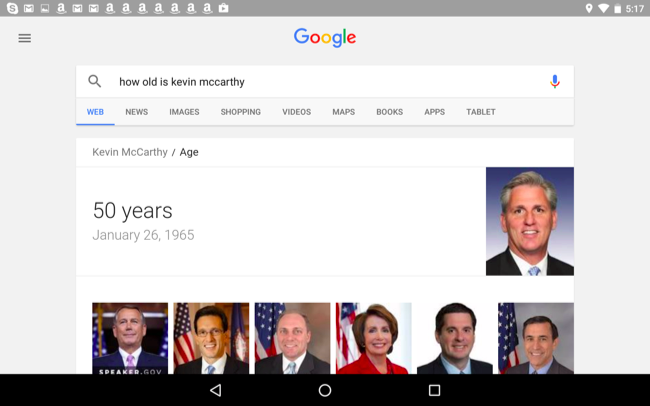 For example, while listening to a song in an app, you can open Now on Tap and then say something like “Ok Google, what’s her real name?” or “Ok Google, how old is he?” Google Now will perform a search based on the information in Now on Tap. In this case, it should see that you’re listening to music by a specific artist and perform a search for that artist’s real name or age and answer your question. This will get much more useful over time as more third-party Android apps opt into this feature and as Google extends Google Now on Tap to understand more types of data. 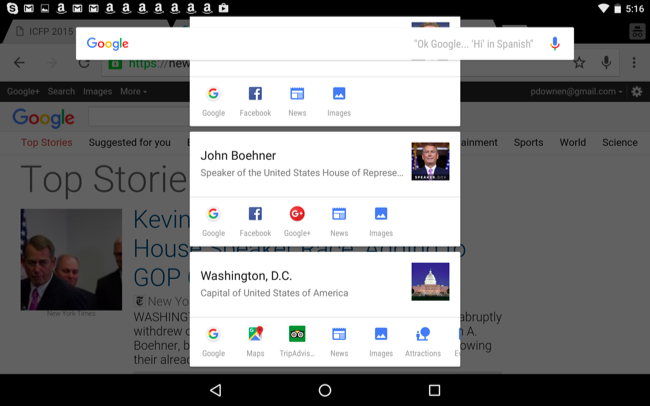 For now, Google’s Now on Tap shows what’s possible with the deep integration of Google’s “knowledge graph” into the Android operating system. 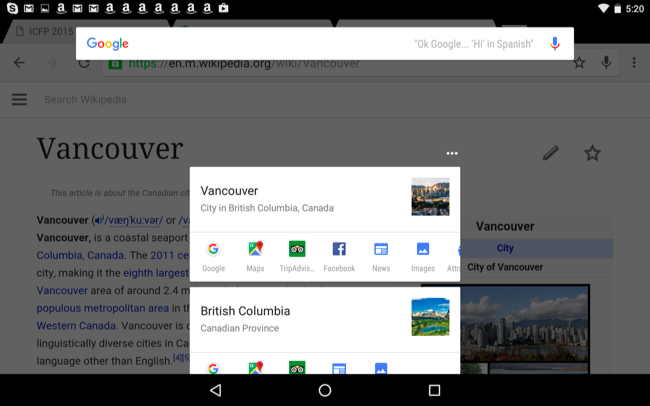 Android is becoming more and more integrated with Google’s services.